These Gluten Free Chunky Monkey Overnight Oats have the same familiar flavors from you favorite pint of ice cream but in a healthier breakfast version. It’s a super easy make-ahead recipe you’ll find yourself making over and over again. 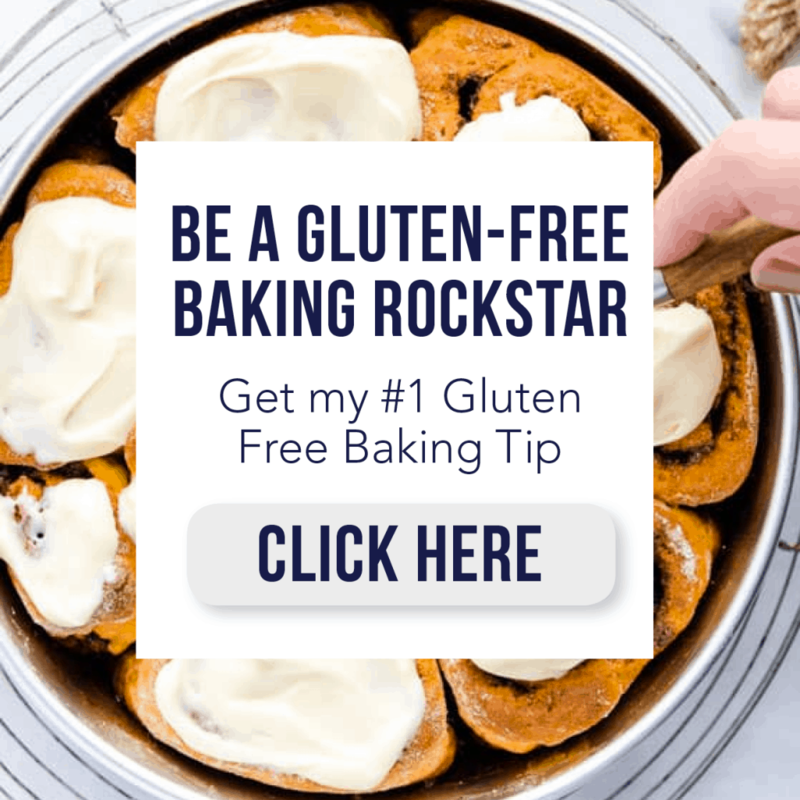 I have been meaning to make these chunky monkey overnight oats since my trip to Chicago last December for Quaker Summit where Quaker Oats introduced me and several other gluten free bloggers to their new gluten free oats. When we were there, they served us breakfast which was a gigantic oatmeal bar. There was a biiiig old pot of hot oatmeal and it was accompanied by a buffet table of all kinds of toppings. Dried fruit, fresh fruit, chocolate, nut butters, all different kinds of milk, honey, maple syrup, nuts, and even savory items like Sriracha. I made myself a bowl topped with bananas, chocolate chips, maple syrup, and walnuts and somebody made the Chunky Monkey comment. When I threw it together, I wasn’t even thinking that – I was just making what I thought would be super tasty. I don’t usually eat hot oatmeal, I actually never cared for hot oatmeal as a kid and have always eaten my oatmeal cold. However, I really enjoyed my hot Chunky Monkey oatmeal but I like the overnight oat version better. I’ve been a fan of overnight oats before overnight oats were even a thing. Some of my favorites, other than this version which is #1, are my peach pie overnight oats, black forest overnight oats, and Nutella overnight oats. One thing that I really love about overnight oats are the texture. Since they’re not cooked, they’re not just a pile of mush. There’s still texture to them and, IMO, much better to eat. I also like that they’re still a little bit liquid-y – that flavored milk is the best part! 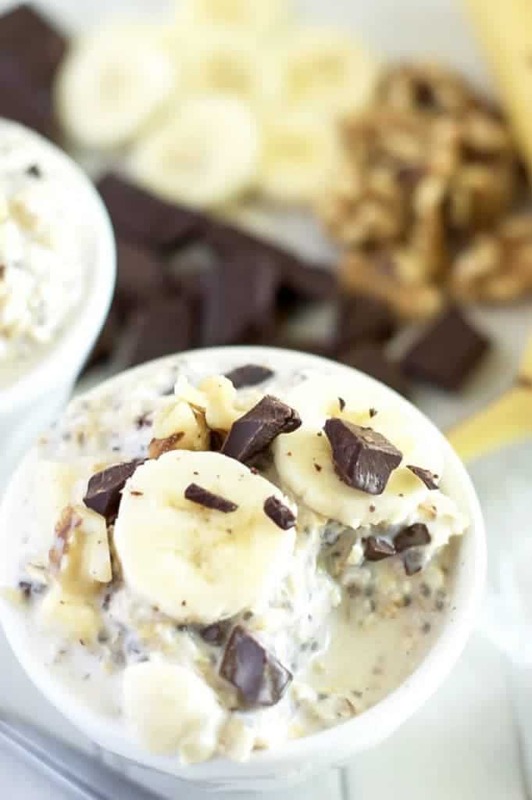 If you’re a Chunky Monkey ice cream fan, this healthy breakfast version will be right up your alley. It’s so jam packed with banana, walnuts, and dark chocolate chunks – it’s one delicious bite after another. 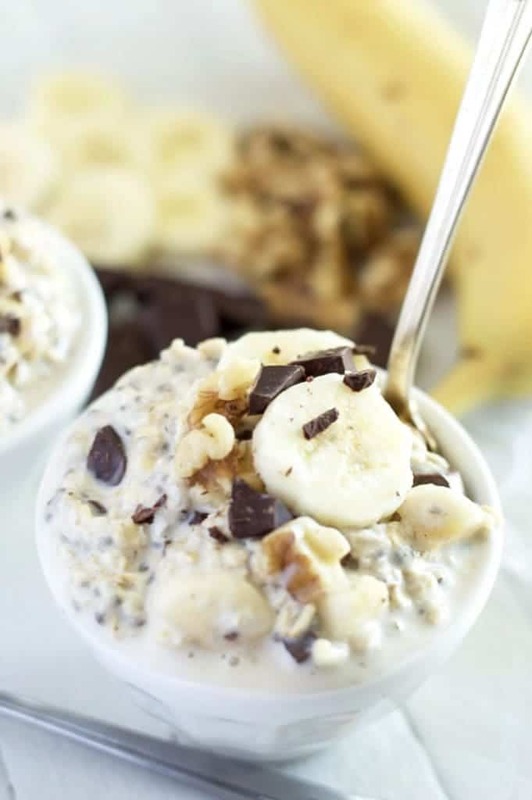 I like to top my oats with a little extra sliced banana, walnuts, and chocolate but you don’t have to. I also like to add an extra little drizzle of honey because honey is one of the best things ever. It’s one of my favorite natural sweeteners and I use it in all of my smoothies and overnight oats recipes. 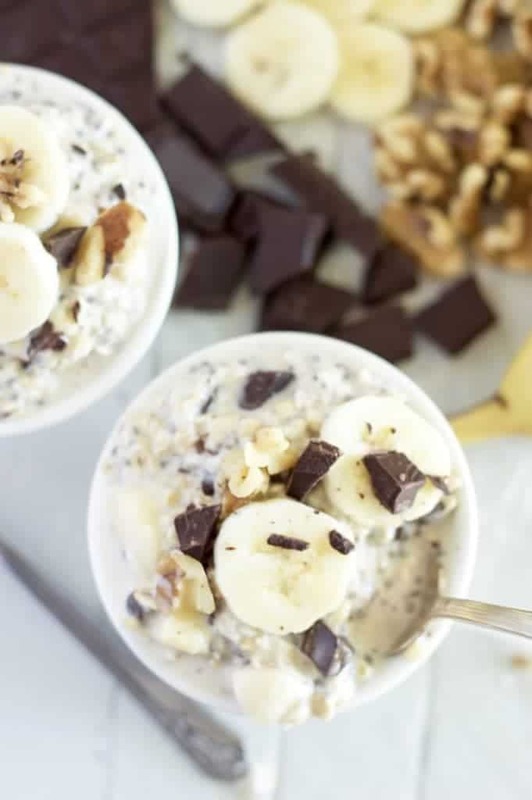 Make these gluten free chunky monkey overnight oats tonight and you can have them for breakfast tomorrow. Enjoy! Add the oats, milk, vanilla, honey, and chia seeds to a bowl and mix really well. Refrigerate overnight or at least 4 hours. When ready to eat, stir in the chopped walnuts, dark chocolate, and banana. Top with additional banana slices, walnuts, and chocolate if desired. The overnight oats can be refrigerated up to 3 days. *For dairy free, use unsweetened coconut milk and dairy free chocolate. 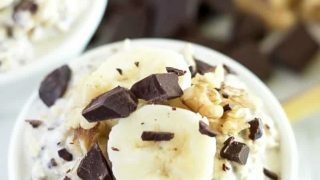 This Gluten Free Chunky Monkey Overnight Oats recipe can also be found on Weary Chef, where I am a contributor. You just SCHOOLED my sad little breakfast! One of my favorite flavor combos! I have not yet tried to make overnight oats– this looks like a variety that I could get into!!! Those are all my favorite ingredients. I love the oats twist! 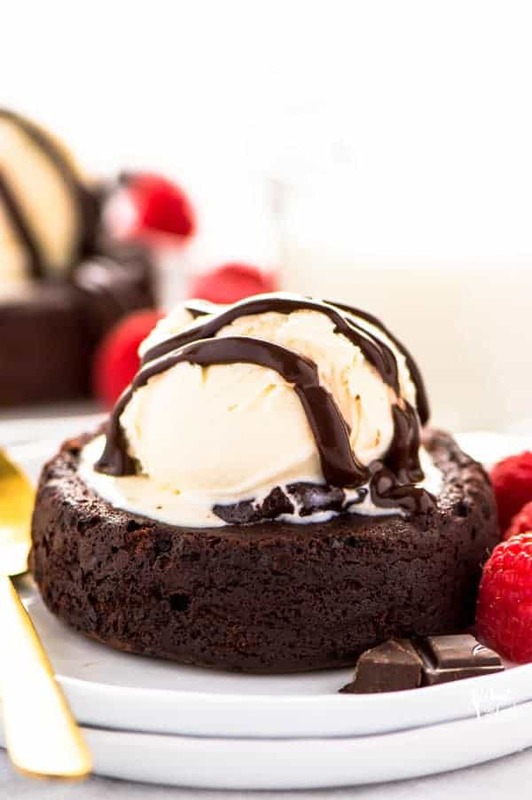 These look so decadent, love that they’re actually healthy! PS- Sharon, I noticed you call for milk in your recipe directions, but don’t list the measurement. FYI! YES! I want chunky monkey for breakfast for sure!! Overnight oats are great. 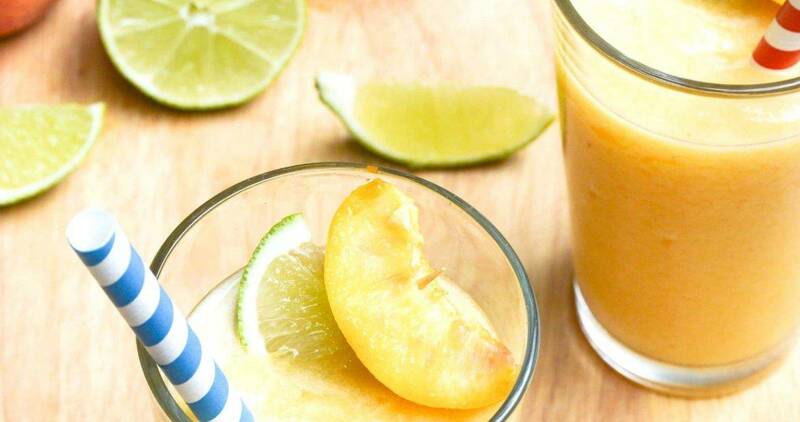 This is a must try recipe. I am wondering about the quantity of milk. Is it just enough to be absorbed by the oats, or enough to make it a bit soupy? A must make for busy school mornings! This looks fabulous! 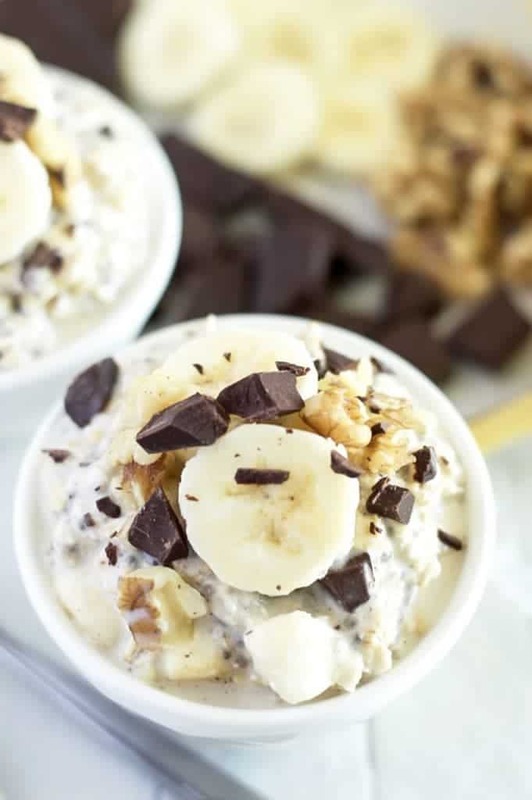 These is one of the most enticing overnight oat recipes that I’ve ever seen! The chocolate and banana with it just look dreamy. I’ve never tried overnight oats, and I really need to jump on the band wagon! These look delcious! And this flavor combo is a total hit!! Can steel cut oats be used? I don’t usually use steel cut oats but I’m sure they would work fine. YUM! 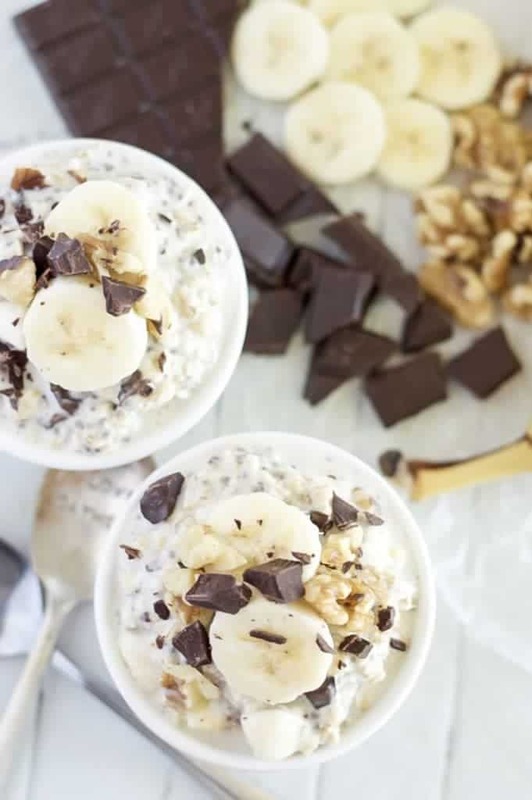 My husband has started doing overnight oats and I bet he would LOVE these. 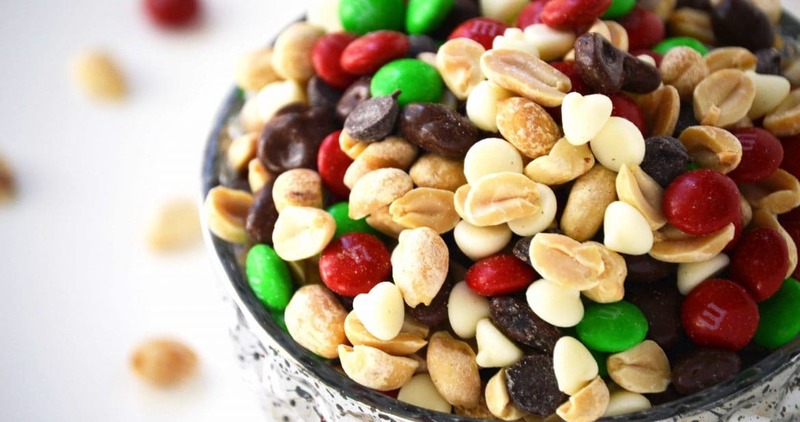 The walnuts are part of what makes them “Chunky Monkey” but if you’re allergic you can leave them out. I was wondering if you could warm them or add steamed milk to eat them hot?